If you are charged with a crime, the imminent penalties (jail, fines, probation, and so on) are probably the ones that seem the most intimidating. However, having a criminal record, especially one with a felony offense on it, creates restrictions that can make things a lot harder for you for the rest of your life – even if you’ve already served your time and paid your ‘debt to society’. These restrictions are often called “disabilities” since they limit you from opportunities and rights that are given to other Americans. After a conviction, some jail sentences may be reduced if the defendant can prove that they are working to rehabilitate themselves and lead a crime-free life. Can long-term penalties and disabilities be reduced as well? The answer is yes! Through a Certificate of Relief from Civil Disabilities, you may be able to avoid some of the “disabilities” that are typically given to offenders. When Is a Certificate of Relief from Civil Disabilities Offered? There are typically two occasions when Certificates of Relief from Civil Disabilities (CRD) are offered. In most cases, CRDs are offered because the offense committed was relatively minor. This can mean that either the offense itself was “minor” (like a misdemeanor or lower felony) or that a more serious felony should be considered minor because many mitigating factors were present in the case. CRDs may also be offered if the defendant can provide evidence that they are working on rehabilitation, and that having civil disabilities placed on them will halt their rehabilitation. For example, if a defendant has already taken steps to get a license and a full-time job as a real estate broker, but would be barred due to their felon status, they can ask the judge for a CRD that will let them get their license so they can move forward with their life. Individuals may apply for a CRD at sentencing or afterward through the Board of Parole. 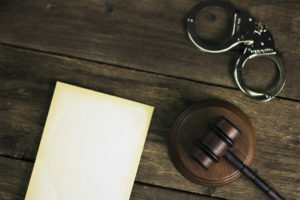 If you are looking for a CRD after sentencing, you and your lawyer should put together evidence that you are on you way toward, or have already attained, rehabilitation. This evidence might include the completion of probation, your compliance with the penalties given to you at sentencing, and more. What Can You Do With a CRD? There are two types of restrictions placed upon individuals with a criminal record: automatic and discretionary. Automatic forfeitures or disabilities are created by laws that do not allow certain professionals to keep practicing upon conviction or bar offenders from applying for jobs/licenses due to their status. Discretionary forfeitures or disabilities leave the decision up to the employer or person in charge of distributing licenses. If you are interested in asking for a Certificate of Relief from Civil Disabilities, talk to a Brooklyn criminal defense lawyer today.